The length of the lash depends not only on our genes. 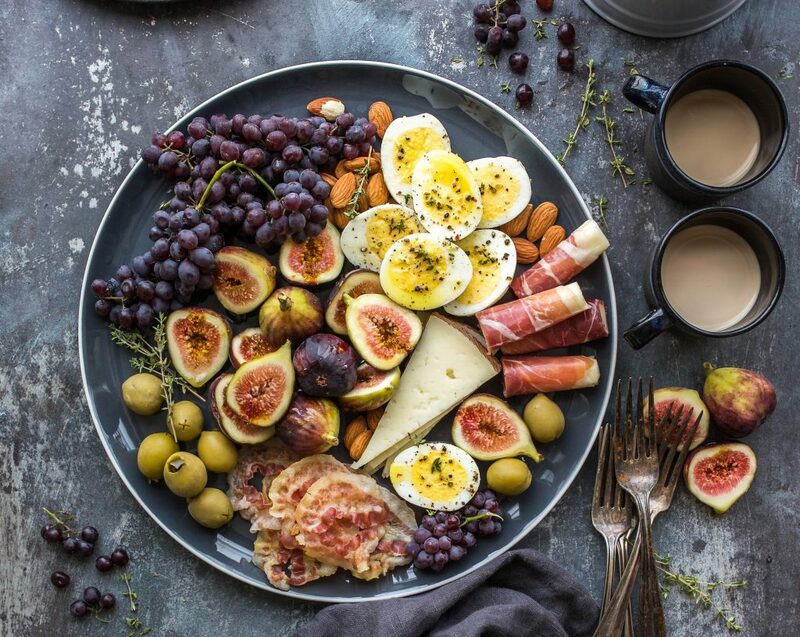 Your diet is a storyteller of how your whole body would work. The food you eat reflects on the way your body reacts. Keeping a good diet full of nutrients will affect your way of thinking, the way you look and the way you feel. It’s all about these nutrients! They are like the most important part of the diet! Nutrients help the growth of the cells and also contribute to their multiplying process. Muscles get stronger and last longer. But did you know that nutrients, proteins and vitamins can make your lashes stronger and longer too? Did you know that the hair is composed of a protein called keratin? The keratin must be well “fed” with proteins and vitamins. That will affect hair and lash growth drastically as both need that keratin. Let’s talk about Zinc. Seafood, red meat, and legumes have the Zinc protein in them, but mostly it is concentrated in oysters. Lack of zinc in your body will be noticed if your lashes, hair and nails grow slower than their usual growth speed. This protein helps with the creation of cells, which of course boosts the growth in anything including hair and lash growth. Collagen will always be there to be part of the construction of our skin, hair, and nails. It’s a good thing that our body creates collagen by itself. But the more we age the harder it gets for our organism to synthesize it from the world around us. Collagen makes your hair strong and shiny, then with low collagen in our bodies, nails will easily break, lashes will fall and skin will become dry and rough. A little bit of collagen powder or any other kind of supplement will be quite helpful in your body nutrition. Then we have the Omega 3 fats. They are one of the most important fats, essential for the health of your organism, hair and most importantly for the eyelashes. It can lower your cholesterol levels, making you look younger. There are several Omega 3 fat-filled foods. We are talking about fishes like salmon, catfish, trout, tuna, mackerel and shellfish. Then we have avocados, eggs and all possible nuts. So everything leads to a good and healthy diet. Not any kind of diet. Let’s start with the vitamins and yes, they are a lot! What are Vitamins? There are 13 known Vitamins to the humans. They are from the organic part of our world. This means they come from anything living and plants. Most animals can produce vitamins for themselves, but humans can’t. 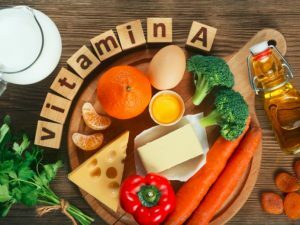 Vitamin A is mostly known for its use of enhancement for the eyesight and hearing. It has a finger in the production of keratin. Which means that it controls the growth of keratinocytes. Those are cells that produce keratin. Vegetables like carrots, lettuce, pumpkins, sweet potatoes, bell peppers, cantaloupes, are rich in Vitamin A. Oh, and hey, they are all in the warm color specter. We’ve got yellow, orange, red and green. Those are the colors to search veggies to find Vitamin A.
I also hereby recommend eating fish. Fish have tons of Vitamin A. Go catch a tuna or mackerel. Unless you aren’t into fishing, then just go to the store. Here we have quite the long list of Vitamin B’s. The vitamin B’s we are going to talk about in our article are Vitamin B3, B5, B6 and B9. We start with Vitamin B3. Vitamin B3 is a really important nutrient for the whole organism. The other name it goes by is Niacin and really essential for a good blood circulation. Same as Vitamin A it is part of the construction of keratin. There are fish like the tuna and salmon that are really rich in Vitamin B3. You can also consume asparagus, mushrooms, sunflower seeds and all kinds of nuts. All these have vitamin B3 and having this in your organism helps with your lash strength and how good they are hydrated. Stimulates the growth of the lashes and how long they are. Next on our list is Vitamin B5. It has many names as every other vitamin out there, but one of the most common after B5 is Pantothenic Acid. The name comes from the Greek which means “from everywhere” and it is a fact it’s found in almost every consumable by humans food. B5 is playing hide and seek in the meat, avocado, broccoli, whole grain cereals, milk, yogurt, peanuts, legumes. With the most concentration of B5 are egg yolks, dried mushrooms, liver. All these will help in improving your hair and eyelash condition. Many shampoo companies use different forms of Pantothenic Acids. People use Vitamin B5 also in medical industry. 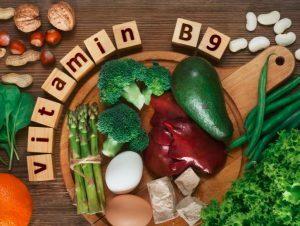 Vitamin B6 is known for helping the regulation of the metabolism, the neurotransmitter, histamine, and hemoglobin synthesis as also for their functions. If your lashes are dry and thin and tend to fall before they reach the desired length, have in mind that this Vitamin will prevent hair and eyelash loss. B6 also goes by the name Pyridoxine and it can be found yet again in egg yolk, whole grain, yeast, liver and most vegetables. I recommend that you add more of these foods in your daily consumption. We are almost done with the B complex. We reached to the last vitamin on our list. Vitamin B9, also known as Folic Acid or Folate. This vitamin can be used in many forms. It can prevent anemia, strokes and doctors highly recommend it to pregnant women to decrease the neural tube defects in future babies. Essential for the making of DNA and RNA and for cell division. Foods containing the B9 vitamin are my favorite. Spinach, lettuce, oranges, broccoli, black beans and whole wheat bread. All make amazing dishes or salads. Most of them you don’t even need to cook. This Vitamin yet again can keep your lashes strong, thick and long. So far we saw that all the Vitamin B’s are most needed in the organism to prevent any kind of diseases. And of course, keep your whole body strong and independent. If you are not getting enough of B vitamin-rich foods add a B complex supplement to your diet. You can find Vitamin C in food or human-made tablets, pills or glass capsules. This vitamin is essential for the repair of tissues and the production of some neurotransmitters. Also, required for the functioning of several enzymes and the immune system. Vitamin C is a great help for when we talk about antioxidation because that protects your eyelashes from weakening. Vitamin C is an energy supplier, so I consume it before noon. If I drink or take something with this vitamin, after two or three pm, I might not be able to sleep. 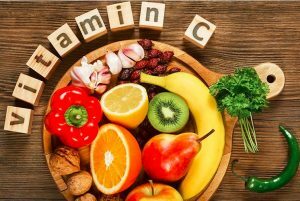 Many health diets recommend you use Vitamin C once per day because too much of it might cause the opposite effect. I drink a lot of herbal tea and never miss to put two slices of lemon in the cup. The foods that contain Vitamin C are citrus fruits, broccoli, raw bell peppers, strawberries. Cooking the veggies and fruits will greatly reduce the vitamin C that they contain. This vitamin helps your body to absorb iron, so, having it in your organism will decrease your hair and eyelash loss. Dogs, for example, can synthesize for their organism Vitamin C, while we humans need to consume or absorb it in different ways to have it in our organisms. I also highly recommend you to take a good Vitamin C supplements. Just add it to your diet. 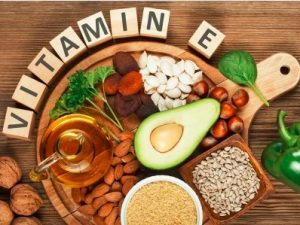 You can get Vitamin E mostly from sunflower, wheat germ, safflower and other oils. Quite used in the cosmetics industry. It is also a great fighter against the free radicals in our organism and those radicals are destroyers of tissues, cells and organs. Those independent radicals like to be part of the aging process in all living beings. Next to vitamin C, Mr. Vitamin E is quite an effective antioxidant and great helper with the blood and oxygen circulation. And you know what that means, right? Blood to the hair follicles leads to hair growth, which leads to longer, stronger, thicker and better-hydrated eyelashes. The good news is you don’t need to search for vitamin E under rocks and fallen trees. Vitamin E is in most of the nuts in the world. For example hazelnut, peanuts and almonds. You can also choose to take some Vitamin E supplement. Vitamin H is not so used with this name, therefore we are going to call it with his common name, which is Biotin. All Vitamins are known for the fact that they help with blood circulation so is the Biotin. This Vitamin helps with the absorption of fats, amino acids and carbohydrates. 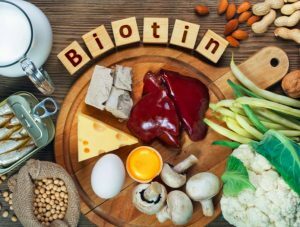 Sourceful biotin foods are peanuts, almonds, soybeans, fish, cheddar cheese, avocado, cauliflower, raspberries, eggs and bananas. All good for a healthy full of nutrients diet. Biotin supplement is a great option for supper strong eyelashes. Healthy diet means a healthy organism, which means… what? A healthy, stronger and healthy looking body. All leading to the beautiful, strong and long lashes. Iron is one of the minerals out there that are important for our organism. This mineral helps with the transportation of oxygen in our blood. That’s good because the blood that gets to the hair follicles will boost the hair growth. Which means again, longer and stronger lashes. 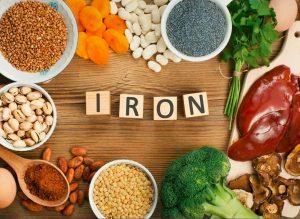 Are you wondering which foods are rich in Iron? One of the most common and probably world known veggies that have iron is the spinach. There are more foods that accompany the spinach. Iron is most concentrated in nettle. 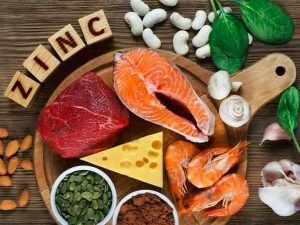 More food that contains iron are lean and red meat, liver, salmon, tuna, dark meat poultry, oysters, iron-fortified cereals, whole grains, eggs yolks, dried beans and fruits. Put everything together and you get everything you need for that healthy diet and of course..those strong, long lashes on fleek! In case you are not a meat lover, or you can’t get enough iron from your diet, we recommend a good iron supplement – the Solgar’s. For a difference, calcium by itself can’t boost the hair growth but boosts the producing of cells. That, of course, leads to stronger and thicker lashes, that won’t break down easily. 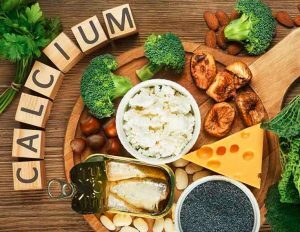 Food concentrated with calcium are yogurt, cheese, milk, tofu, almonds, peas, okra, collard greens, salmon, tofu and sardines. If you can’t get enough of calcium you can try with calcium supplements. Yet again another human-made miracle. If you take all these vitamins, proteins and nutrients, daily you might start seeing a result in two to three months. In this article we recommended you the best supplements on the marker, but please, don’t buy and take them all. If you are not sure which one to take, you can always consult with your doctor first.